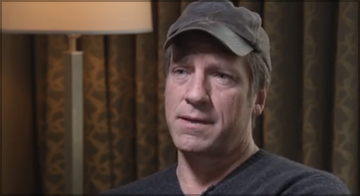 Television star Mike Rowe thinks that a "diploma dilemma" exists in the United States. Rowe is no fan of the college system, and thinks that many students would do better by NOT attending a four-year college, and instead pursuing a career in the trades. Since the mid 1980's, the cost of a college degree has increased 500 times more than the rate of inflation. Nothing else comes close...I can't believe it's not daily headline news. Imagine any other commodity increasing at that rate. As Rowe argues, there's no shame in being an electrician, a plumber, a welder, or a machinist. In fact, the financial reward of going into a trade may be MUCH higher than earning a college degree. In the video, you'll hear Rowe describe several friends of his, who have been successful without going to college. The main point of his argument is this: many 4-year colleges train you for "jobs that don't exist" — whereas high-paying jobs in the trades (which don't require a four-year college degree) are widely available. If you're ready to work smart and hard, then a career in the trades could be right for you. Rowe has even set up a scholarship foundation to help you pay for trade school if you're interested. Do you agree that there's a "diploma dilemma" these days? We'd love to hear your thoughts in the comments section below!